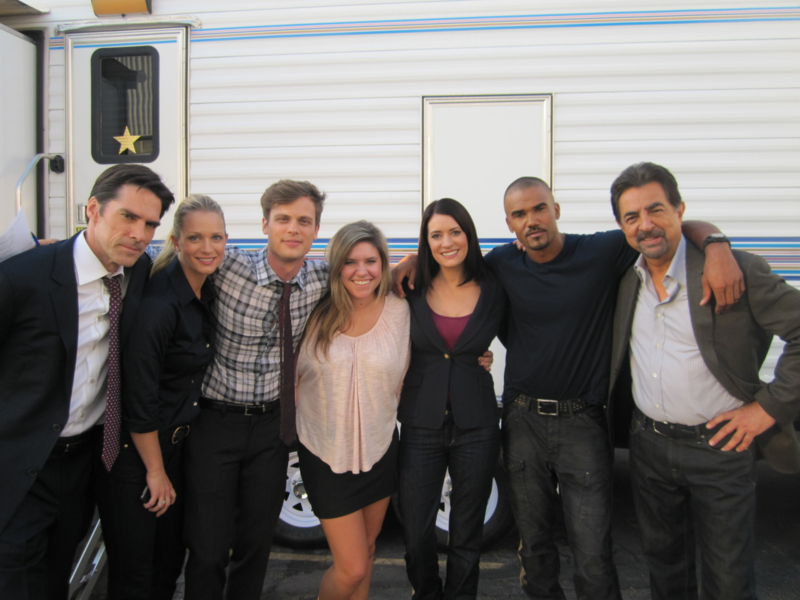 The cast. . HD Wallpaper and background images in the Criminal Minds club tagged: thomas gibson aj cook matthew gray gubler paget brester shemar moor joe mantegna. 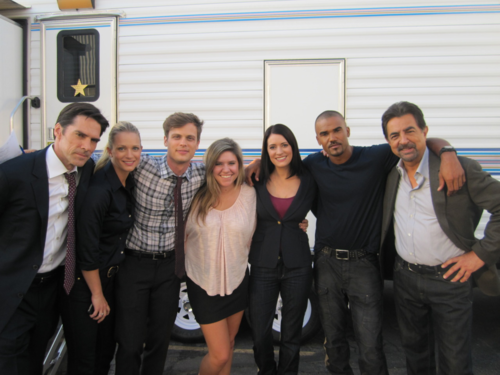 This Criminal Minds photo contains business suit. There might also be well dressed person, suit, pants suit, pantsuit, dress suit, full dress, tailcoat, tail coat, tails, white tie, white tie and tails, suit, and suit of clothes. This is EXACTLY how I like the cast. But.. Who's the girl in the pink?